In 2012, the Archives of American Art was awarded $222,700 from the Council on Library and Information Resources “Hidden Collections” grant program (link opens in new window) for“Uncovering Hidden Audiovisual Media Documenting Postmodern Art.”For this three-year project, beginning in January 2012, staff and project interns processed twelve archival collections that are rich in audiovisual material and produced web-accessible EAD (Encoded Archival Description) finding aids, linked below. Funds supported an audiovisual archivist, graduate interns and a symposium. The media in these collections document a period of contemporary American art when ephemeral and dynamic new visual art forms were emerging in studios, art communities, galleries, and art spaces across the country. The collections contain films, video and sound recordings created as a record of art, artists, exhibitions, and events; and those that are works of art in and of themselves–sound art, video art, outtakes, or elements of multimedia productions. In some instances, performance, documentation, and video art are intertwined in one recording. In many instances, this archival documentation may be the only remaining evidence of the artwork. The Jan Butterfield papers contain nearly 200 audio interviews and lectures by such seminal 20th-century artists as Robert Irwin, Chris Burden, Bruce Nauman, Sam Francis, Philip Guston, David Hockney, and Judy Chicago, as well as performance and video art from the late 1980s and early 1990s. 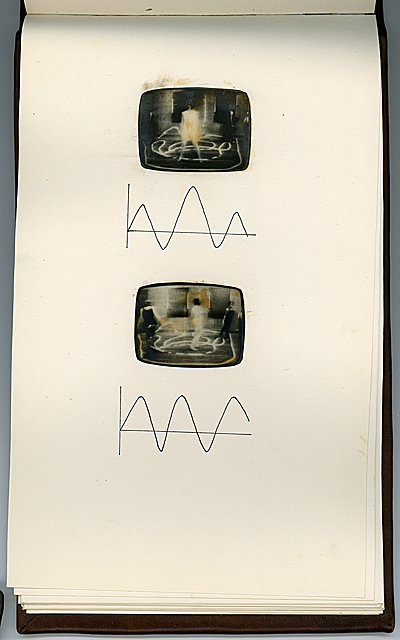 The Paul Ryan papers contain rare documentation of the 1969 exhibition “TV as a Creative Medium” at the Howard Wise Gallery, the first exhibition in the United States devoted to video art with notable participants Nam June Paik, Charlotte Moorman, Frank Gillette and Ira Schneider. The records of the Finch College Museum of Art include a video of artist Lynda Benglis installing her works, and interviews of artists Mel Bochner and Hans Richter, and art dealers Leo Castelli and Betty Parsons, among others. As primary sources, these collections offer unique opportunities for discovery and revelation. They enrich our understanding of art world events and the lives of key participants providing firsthand accounts of seminal moments in American art history. They help us to see aspects of contemporary art in new and different ways. These audiovisual materials represent truly rare archival resources that uniquely document the recent history of contemporary art in America, but few details of this rich content were reflected in the accession level records that were available to Archives users prior to the project. Lack of adequate and consistent description of archival media is a chronic problem for mixed-media manuscript collections due to gaps in current archival standards and best practices. Another goal of the project, therefore, was to develop benchmarks and guidelines for consistently and effectively processing and describing archival collections with audiovisual content. Processed in 2013–2014. View the finding aid to the Paul Ryan papers. Processed in 2012. View the finding aid to the Robert Wiegand papers and video art. Processed in 2014. View the finding aid to the Fletcher Benton Papers. Processed in 2015. View the finding aid to the Museum of Contemporary Art interviews. Processed in 2013. View the finding aid to the Esta Nesbitt papers. Processed in 2012. View the finding aid to the Jan Butterfield papers. Processed in 2014. View the finding aid to the Burt Chernow papers. Processed in 2015. View the finding aid to the Fidel Danieli papers. Processed in 2012. View the finding aid to the Marian Gore “Art Scene” Interviews and Papers. Processed in 2015. View the finding aid to the State of the Arts videorecordings. Processed in 2013. View the finding aid to the Exhibition Records of the Contemporary Wing of the Finch College Museum of Art. Audio - Visual Video recordings Sound recordings Video art Butterfield, Jan, 1937-2000 Chicago, Judy, 1939- Hockney, David, 1937- Guston, Philip, 1913-1980 Francis, Sam, 1923-1994 Nauman, Bruce, 1941- Burden, Chris, 1946- Irwin, Robert, 1928- Ryan, Paul Louis, 1943- Howard Wise Gallery Paik, Nam June, 1932-2006 Moorman, Charlotte, 1933-1991 Gillette, Frank, 1941- Schneider, Ira, 1939- Finch College. Museum of Art Benglis, Lynda, 1941- Bochner, Mel, 1940- Richter, Hans, 1888-1976. Castelli, Leo, 1907-1999 Parsons, Betty, 1900-1982 Wiegand, Robert, 1934-1993 Benton, Fletcher Chapman, 1931- Davis, Gene, 1920-1985 Interviews Nesbitt, Esta, 1918-1975 Chernow, Burt, 1933-1997 Danieli, Fidel, 1938-1988 Gore, Marian L. Fraiberg, Lawrence P.